How To Turn Your Outdoor Deck Into An Entertainment Masterpiece - Fox Hollow Landscaping and Design, Inc. Designing an outdoor space to gather can be as complicated or as simple as you would like it to be. Today’s outdoor furnishings can include full kitchens with appliances to grill, bake, and sauté, and comfortable lounging areas by pools, firepits, and tranquillity gardens. Entertaining guests will be much more enjoyable when your outdoor deck is inviting and well-kept. Let’s take a closer look at how you can easily turn your deck into a stylish welcoming and fun space for entertaining your family and friends. Before you make any purchases, consider how much space you have to work with and what functions you want the space to have. For example, those with a pool might consider installing an outdoor shower near the deck area. If you plan to do a lot of socializing, consider having an outdoor kitchenette built and purchasing dining furniture that makes the space cozy. To create an area for an escape from the hustle and bustle of life, search for outdoor furniture where you can sink into and relax. If you want to create a cozy environment, you may want to think about investing in a private screen that will create a partition in the backyard between the lawn and the patio. These decorative screens can range from simple to ornate, and they give the décor some real style and a touch of class. Many of these screens allow airflow and are very low maintenance, allowing you to enjoy your time outdoors without having to deal with any pesky bugs. If you plan on holding outdoor gatherings, consider a practical kitchen or grill that will allow you to make an entire meal on your deck. This prevents you from having to traipse back into the house to get food and other items. 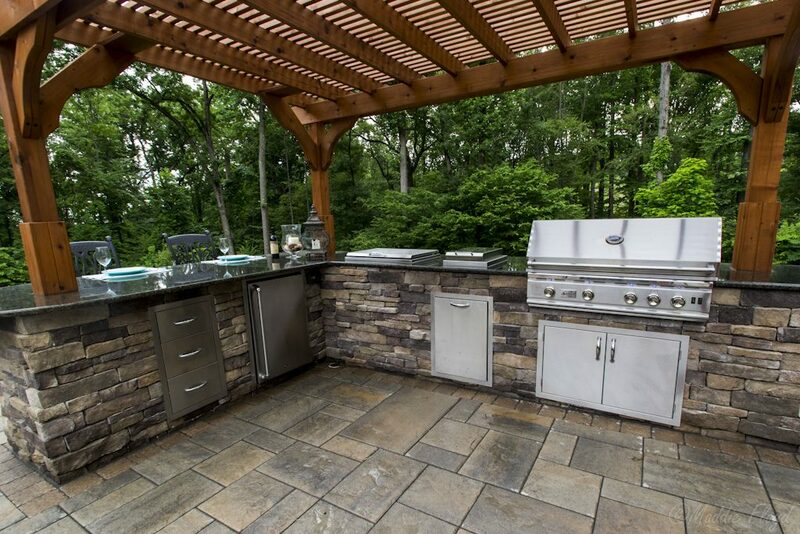 With an outdoor kitchen at your disposal, you can prepare food, cook and serve drinks all from the comfort of your deck making the space an integral part of your home entertainment arsenal. Some kitchenettes come with a basic grill and sink while others have a full range of appliances including a refrigerator. Customize your outdoor kitchen based on your entertainment needs. Modern outdoor furnishings have moved out of the realm of just simple wicker chairs with tables that hold beveled glass. Today’s outdoor furnishings include a range of seating such as futons and contemporary seating cushions. Take some time to shop around and find furnishings that not only looks great but also fits seamlessly into the layout of your deck. Remember, this is also a great opportunity to bring your unique style and taste to the space, so let your creativity run wild. You can accessorize your new outdoor furnishings with pillows and other knick-knacks to round out the area’s style and add an extra touch of class. Add outdoor rugs, lamps, and throw pillows to give your new entertainment area some real pizzazz. Get your hands dirty or hire a professional landscaping company to create a garden hideaway, or alternatively, place plants around the space to make it appear more chic. If you plan to hold large gatherings or parties, consider having an outdoor stereo system installed and let the music keep the party going. Before you know it, the summer months and beautiful weather will be upon us. 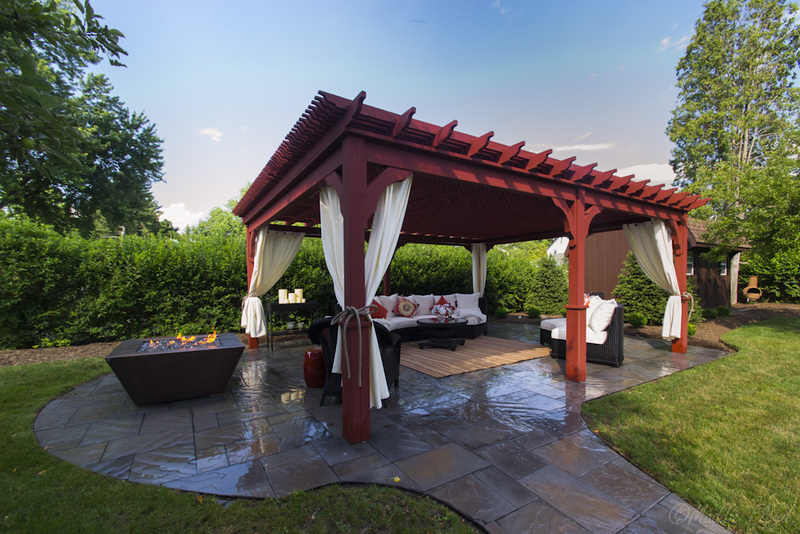 Your backyard can be summer-ready in no time if you take the time to plan how to best utilize your space and take on board some of our suggestions above to create a contemporary but functional outdoor entertainment area. With some careful planning, you can create an outdoor deck to entertain your friends and family for many years to come. 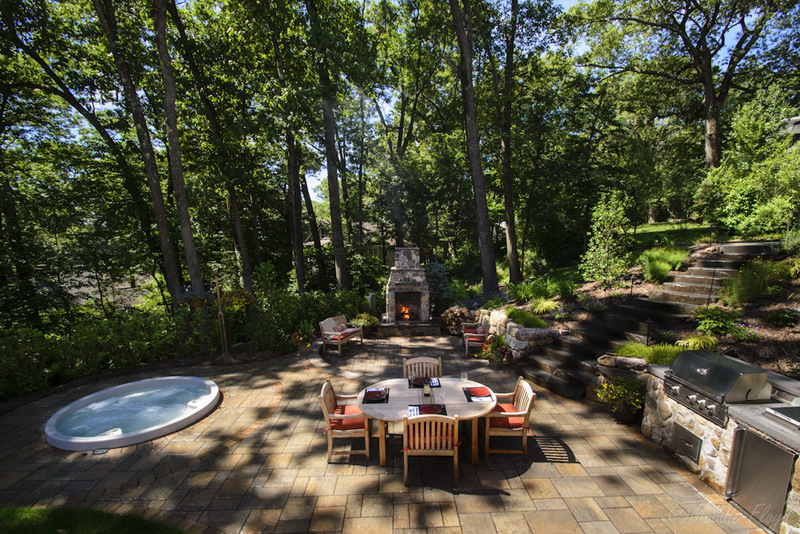 Get in touch with our team at Fox Hollow Landscape and Design to plan the outdoor entertainment space of your dreams.